– Nuclide inventories can now be created and edited directly within the application. 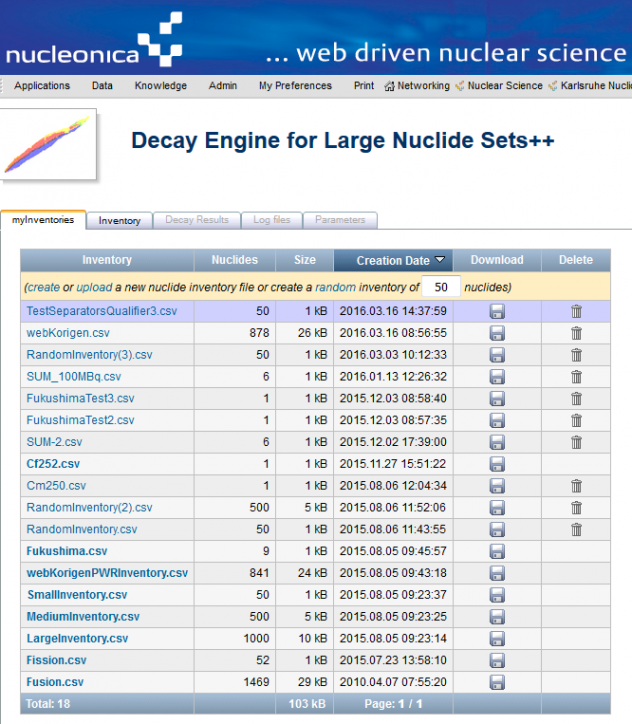 This allows users to easily create inventories containing one or more nuclides for test purposes. – In the inventory creation process, single nuclides as well as previously created nuclide mixtures can be added to the new inventory. – The allowed file formats has now been considerably extended to make the upload procedure more user friendly. – the new version of DELNuS++ has been tested on Firefox, Chrome and Edge browsers.